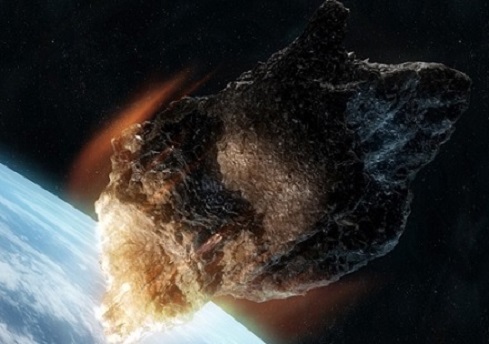 Would The Government Even Tell Us If An Asteroid Was Going To Hit? Last month a previously undiscovered asteroid (now named 2013 TV135) flew within a few million miles of the earth, and some media outlets have said its next orbit in 2032 will be even closer and may even hit our planet. The huge space rock measures nearly a quarter of a mile wide and would devastate any area it impacts, and if it landed in the ocean the resulting Tsunami would be absolutely terrifying. NASA scientists have issued statements that we have nothing to worry about, and there is less than a 14,000 to one chance the asteroid poses any real danger, but I have to wonder. Even if we had solid evidence we were going to be hit, would the government tell the public? Our society has lost its cohesion, and when faced with a test like this, people would divide along ethnic and geographic fault lines. The army would probably splinter as large parts of it went home to be with their families, and once the feds were deprived of their enforcers, their authority would evaporate overnight. Our entire country would be transformed into Thunderdome in the blink of an eye, and that’s the only thing the elites fear. Otherwise, if they kept an impending impact a secret they could use their wealth and power to either flee to a safe area or stock existing shelters to allow them to ride out the catastrophe. Then again, some rich bleeding heart would have an ethical crisis and spill the beans, and we’d probably end up with Thunderdome anyway. On the plus side, complete anarchy would be fun for a while, and I would finally get to answer a question I’ve had since I was a kid. If someone happened to set fire to that giant aviation fuel tank at the airport, would the resulting explosion be awesome or really, really awesome.